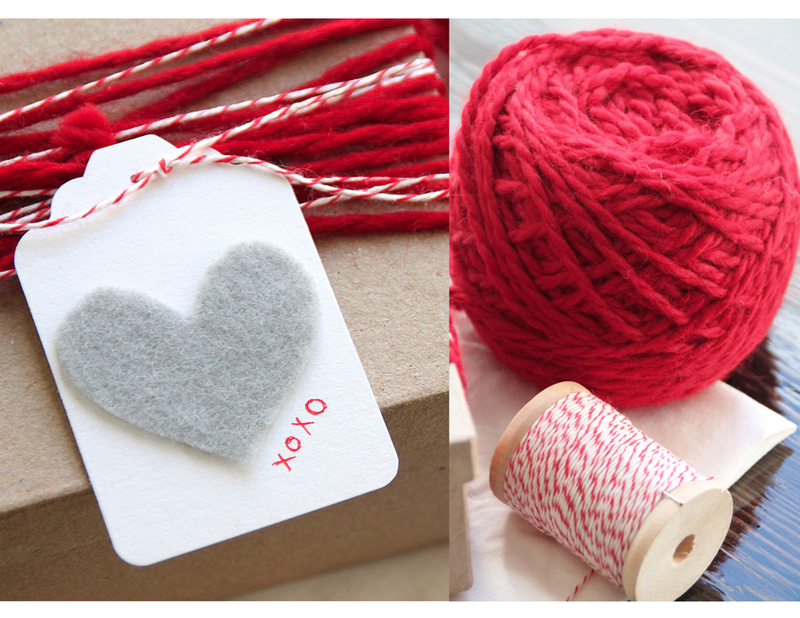 Here’s a quick Valentine’s Day DIY project for you: felt heart gift tags. 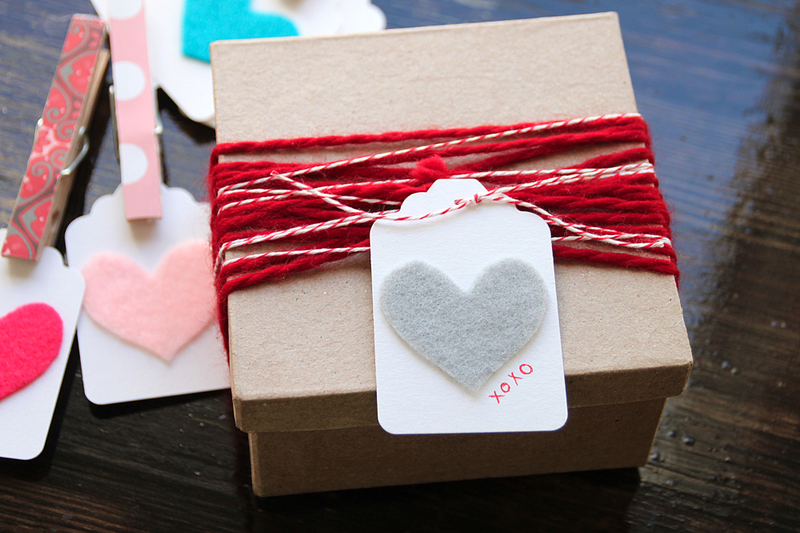 Attach these tags to your Valentine’s Day gifts, to a lunch bag, or a sweet homemade treat. Start by taking your scrap paper and folding it in half. Draw half of a heart on the crease of the paper (just like you did in grade school) make sure it will fit your tag. Cut along your drawing and unfold your heart. You may need to tweak it a bit until you get the heart shape that suits you. Use this as your template and cut hearts out of your felt. Punch out tags with the paper punch. 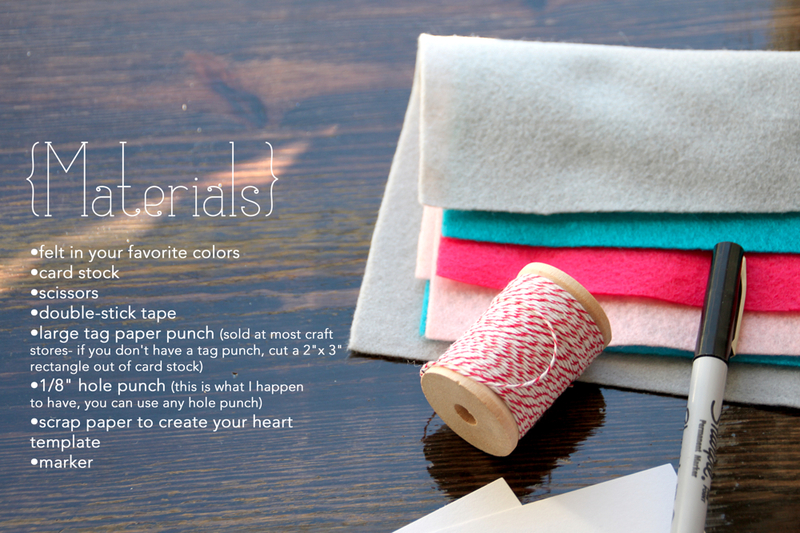 Use double-stick tape to adhere your felt hearts to your tags. Punch a small hole at the top of the tags to put a string through and you’re all set! I used cute red and white bakers twine found here. I think it took me all of ten minutes to make these but they’ll add such a cute homey feeling to my Valentine’s Day gifts. I love details and this is just a little something extra that shows you care. Enjoy! Thanks Laurel. I’m glad you like them. Thanks for the submission to M&T! These are so sweet! Thanks for sharing your how-to. These are so sweet! A lot of your crafts are. Great!!! And your blog is so lovely! Kisses from Argentina! Inspiration: Gift tags | Fünf Gemuse.